CNN’s Larry King Live, Court TV, and Fox News Channel. 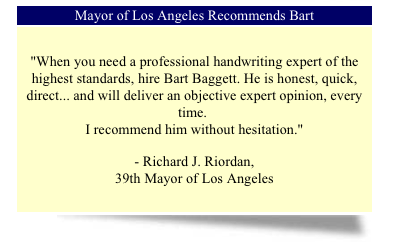 of the highest standards, hire Bart Baggett. 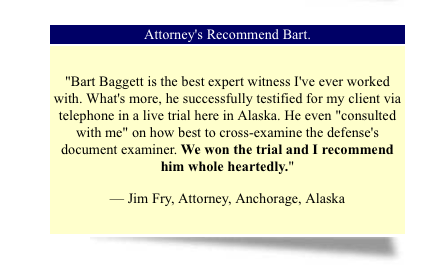 Cases are won or lost depending on your choice of an expert witness. If you are thinking about hiring a forensic document examiner, there are dozens of good reasons you should consider my office to assist you. 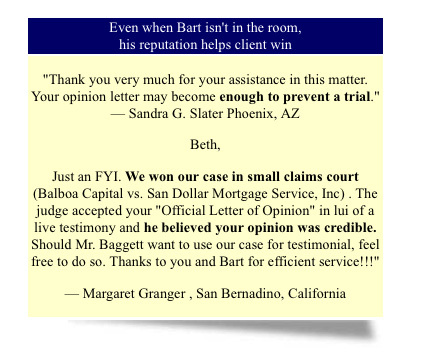 If winning your case is among those reasons, you should call us first. 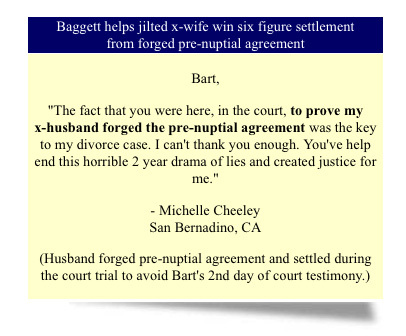 Forgeries, wills, disguised writing, notes, checks, contracts, prenuptial agreements, expert witness, poison pen letters, envelopes, attorney consulting, courtroom exhibits, and much more. 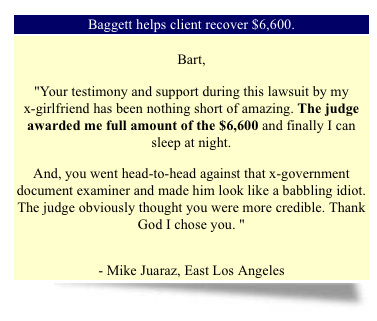 We don’t charge for the initial consultation, so feel free to call us and get the information you need to hire right and understand the entire forensic document examination process. 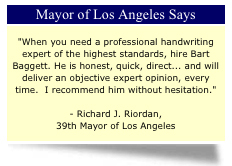 This page contains a directory of America’s top ranked forensic handwriting experts whom many you have probably seen on TV or at your local courthouse.